Prime Minister Nguyen Tan Dung on Saturday toured the southern province of Ben Tre to inspect activities to overcome the aftermath of Typhoon Durian, which killed 16 locals and destroyed over 29,000 houses completely. 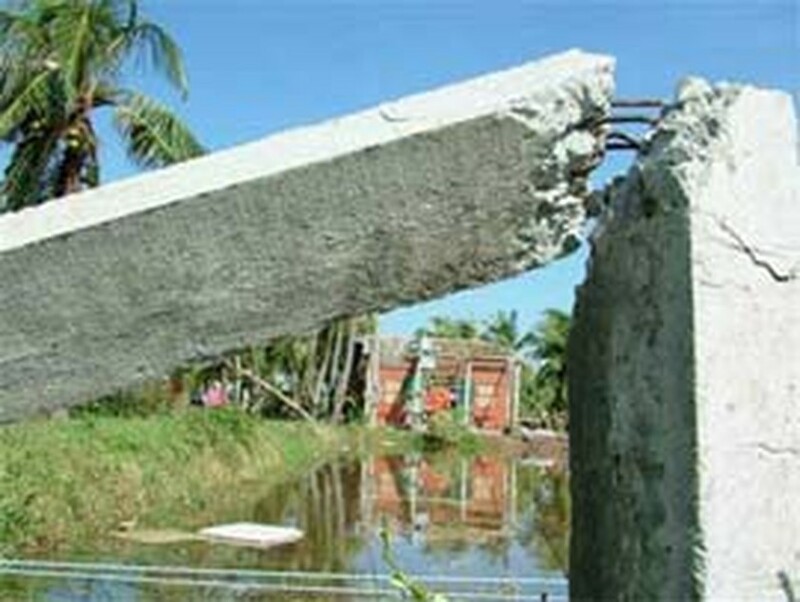 The killer storm, which slammed southern Viet Nam on December 5, also injured 492 Ben Tre residents, blown off the roofs of 92,600 houses and damaged 18 hectares of rice and other crops in the province. Property losses in Ben Tre are estimated at more than VND3 trillion (over US$186.5 million). The Government leader decided to allocate VND70 billion (US$4.35 million) from the State budget and provide 1,000 tons of rice for the province. The PM ordered that no victims be left hungry or live without homes. He asked provincial authorities to quickly distribute the Vietnamese Government’s relief supplies to the hands of every affected family. Urgent efforts must be made to restore medical stations, schools, roads, power lines, telecommunications and water supply systems in the typhoon-hit areas, Mr. Dung asked. He also noted provincial officials about possible attempts by sellers of consumer goods and building materials to raise prices. The PM asked the province’s authorities to focus on industrial development, especially the processing industry, in its 2007 economic development plan. 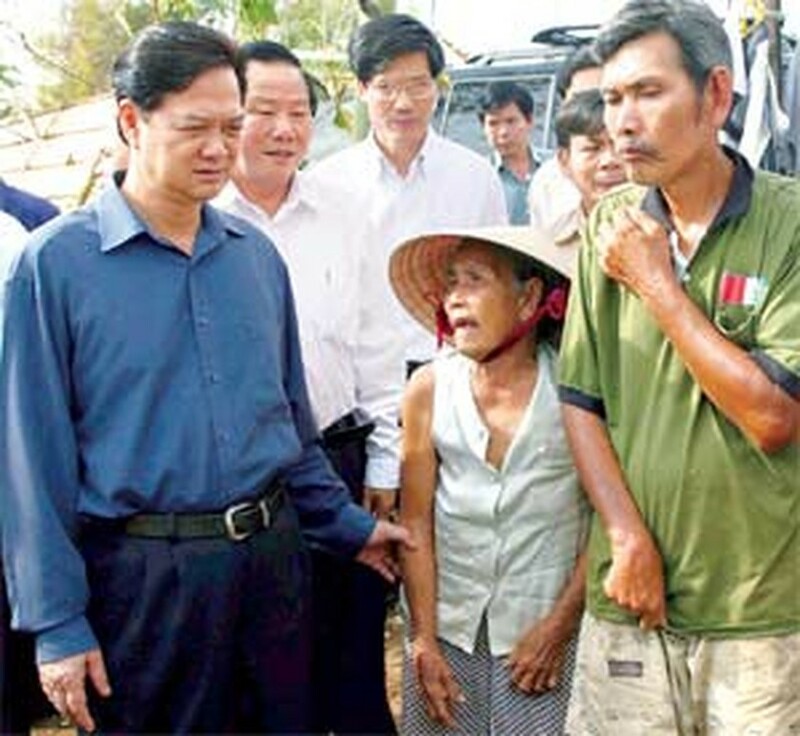 The Prime Minister visited the typhoon-hit province of Tien Giang next to Ben Tre the same day. Typhoon Durian injured 24 locals, destroyed almost 6,000 houses and blown off the roofs of nearly 7,800 other houses in Tien Giang. Total losses are estimated at VND219 billion (US$13.61 billion). 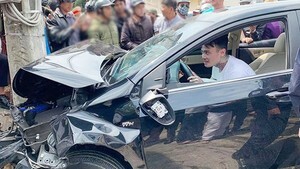 PM Dung also asked Tien Giang officials to try their best to support victims in overcoming the consequences, providing more priorities for poor and underprivileged people. The Government is also sending relief supplies to the province, where Vice President Truong My Hoa was paying a working trip to on December 7-9 in the aftermath of the typhoon.